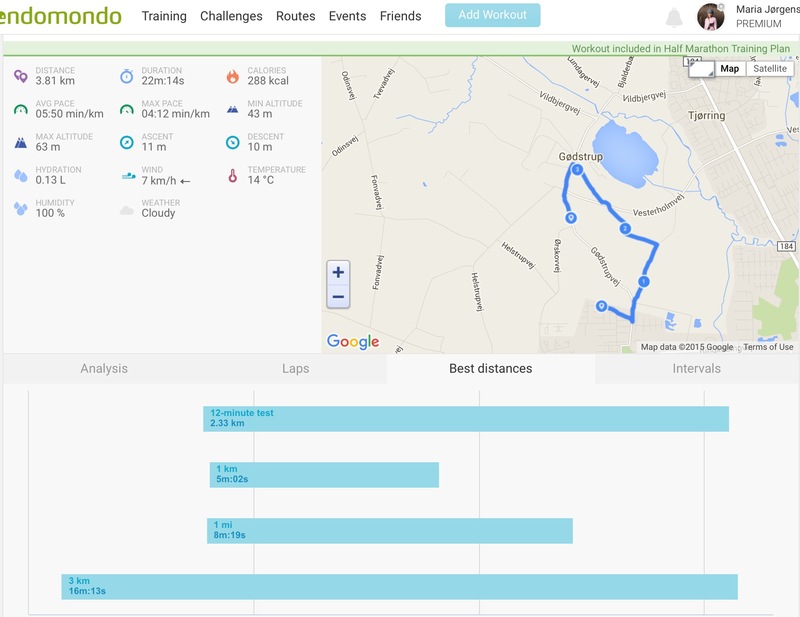 The voice tells me on my premium Endomondo app. “Run your fastest in twelve minutes”! at least I like the result and the feeling afterwards. “Soon” the twelve minutes were over and I walked home thinking about today’s assignment. 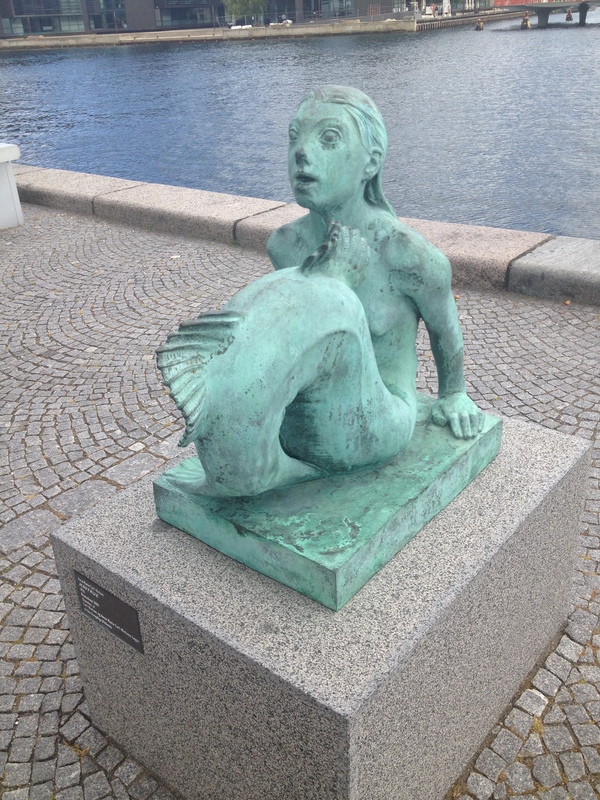 A picture came to me of a little mermaid from Copenhagen. Not the famous one all the tourists go to see at the harbor. She is so calm and beautiful. This sculpture by Anne-Marie Nielsen, the wife of the famous Danish composer Carl Nielsen, is placed at our Royal Library “The Black Diamond” also along the harbor. She is gasping for air and that’s why I thought of her running my fastest. As the twelve minutes developed I was gasping more and more for air and I hoped no farmer was around to hear the sounds I was making in the effort. No only a few horses and a dog were around. I could use my Cooper test experience as a springboard to get something done in the house that I have a tendency to postpone as cleaning the windows or to tidy the rooms. This little bronze mermaid is expressing deep anxiety and exhaustion. I thought of the Jewish most important day Yom Kippur, which is today. The Day of Atonement a day to repent and to be restored. As a born again Christian I believe that Jesus Christ made the sacrifice for me and for everybody who will receive it. I thought about how I once treated my own children. Something that I regret immensely and I can’t believe that I could act like that. I worked far from home and had long transportation and they were on their own in a time where they were not mature enough to manage sufficiently. I contributed to a lack of emotional stability. It hurts to think about it. I have told them, but I will find a way to do it again. I wrote a post about that time here called “Going back 25 Years”. When Yom Kippur is over the year of Jubilee starts. That’s where the captives are set free and the debt cancelled. This verse has been a key verse to me for many years and a great comfort to go back to. Today’s task led me to think of physical, emotional and spiritual things. Thanks for sharing… on such a sensitive subject. Sometimes Maria you just have to do whatever seems best at the time. You are not alone in wishing sometimes that we could go back and do it all differently. Many of us know that feeling that you’re “just trying to get to work” and feeling kids are being neglected but we can’t do everything. Thank you rosemawrites. I was alone with the children in a foreign country, but still I would have done some things differently today.